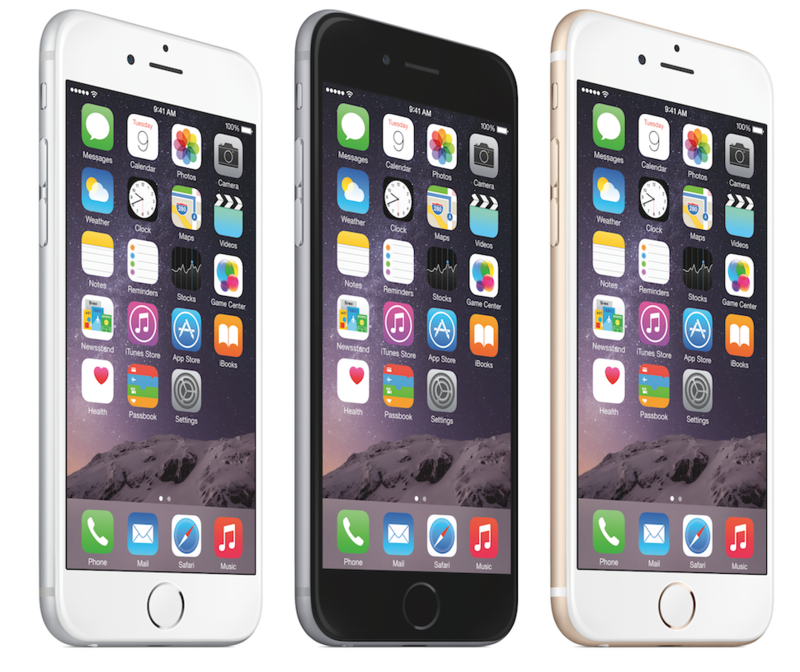 Apple has announced that iOS 8 has now been installed on 46 percent of devices. 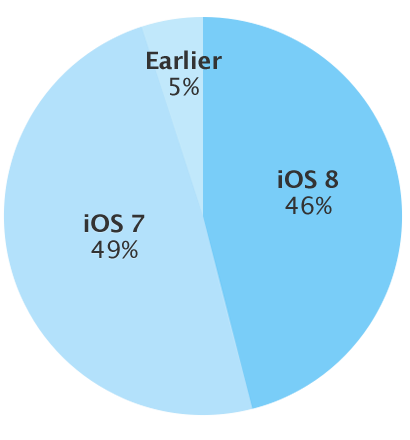 The number of iOS devices using iOS 7 has dropped to 49 percent. Five percent of devices use an earlier version of iOS. The numbers come just days after Apple released the iPhone 6 and iPhone 6 Plus, and are based on usage rates through Sept. 21. Data was first posted on Apple’s developer support portal for iOS App Store metrics. Two independent tracking sites have found different results. The Fiksu iOS 8 Activity Map currently shows iOS 8 usage of 25.3 percent through Monday, Sept. 22. Mixpanel Trends records an iOS 8 adoption rate of 32.33 percent at the time of this writing. Cupertino officially released iOS 8 on Wednesday, Sept. 17. 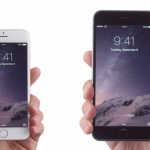 Two days later, the iPhone 6 and iPhone 6 Plus became available in stores. Both new iPhones come with iOS 8 preinstalled. The latest software version for the iPhone/iPod touch and iPad includes improvement/changes to the Photos and Message apps, the ability to add widgets to Notification Center, and more. An update to iOS 8 is expected to arrive next month and feature HealthKit and HomeKit integration, and Apple Pay for the iPhone 6 and iPhone 6 Plus. 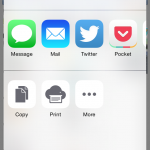 For more on iOS 8, see: Alternative third party keyboard apps for iOS 8, Apps with Share extensions for iOS 8, and Where are all of your Camera Roll photos in iOS 8?